I know it sounds cliché, but travelling halfway across the world to teach English in China was one of the best decisions I’ve ever made. Sometimes it was challenging, other times rewarding, but above all, it was an experience that created memories that will last a lifetime. If you come to China to teach English through a recruiting company, chances are high that you will be placed in a public school. This is good news, as teaching in a public school compared to other learning institutions has far more perks than drawbacks, and I’m here today to explain what you need to know before you embark on your public school teaching adventure. Let’s get started! I know this sounds frightening, but trust me, it’s easy to get used to and might actually be easier to teach than small classes! Public school classes in China are big: they average around 45-60 students per class. Don’t let this intimidate you however, as bigger class sizes have their perks. If you’re not a morning person (like me) and you need a jolt of energy to really get you going, a big, energetic class will help you do that. It is much easier to be an active teacher when you can feed off the energy of grade school students hungry for knowledge. When doing class activities in a big class, you can extend the duration of some activities to make sure most students in your class get a try. An activity that would maybe take less than 5 minutes in a class of 20 can likely go up to 10 minutes in a class of 50! In addition, a big class will likely contain a few students who speak English at a decent level, so when you throw out a question and are met with blank stares from 98% of your students, you can always count on those few whiz kids to help you keep things moving. You’ll be happy to know that an average public school lesson only lasts about 40-45 minutes. This is much, much shorter than my average high school lessons, which went up to 75 minutes! The great thing about having 40-minute lessons is that you can keep your lessons tight, focused, punchy, and energetic, while still giving everyone in class a fair shot at participating. With shorter lessons, you won’t need to do too much prep work as all you will need are four to five well-thought out activities that will keep your students active. And if a lesson isn’t going as well as you hoped it would… relax! You’ll be out of there in less than 40 minutes so you can go work out the kinks! Compared to some training centres and private schools, public schools won’t require you to spend too much time teaching classes every week. Though it varies from school to school, you can expect to teach up to 17 classes per week, for a grand total (17 x 40 minutes) of just over 11 hours per week in the classroom. Often, this total is less, and you can usually expect to teach around 12 to 15 classes per week. If you don’t like following a strict curriculum where you teach lots of grammar points you aren’t comfortable with, you will be well-suited to teach in public schools. Though some schools do require you to teach certain grammar points from their textbook, many of them give you free reign to teach whatever you like! This might be a disadvantage for those of us who would like some order or some idea on which to base our lessons. But for those of us who don’t like being bound by rigid rules, we can design our lessons however we like! The method I recommend is just to pick a topic your classes might find interesting and base your lesson off that. Then, you could throw in a grammar point, speaking practice, funny video, game… the possibilities are virtually endless! Every public school will assign you a “contact teacher”, who will likely be a local English teacher at your school. He or she will be your translator/messenger for the whole year and will be responsible for letting you know about everything that may involve you, such as school events, holidays, or schedule changes. Having a contact teacher around essentially means you don’t have to learn a word of Chinese to get by at your school. However, your contact teacher may not be the best communicator. You know that afternoon you thought you had free? Well your schedule changed and now you have a class at 3pm that your contact teacher told you about at 2:45pm. Also, your contact teacher won’t always be around to help you tell the printing lady you want 200 crosswords printed out ASAP. A good thing to do is to start learning Chinese and practice by talking to your colleagues. Bit by bit, you’ll be able to do things independently and you’ll have a much smoother teaching experience. Likely the best piece of advice I can give you to make the most out of your public school teaching experience is: be involved! Yes, I know I said that some schools technically don’t require you to be there don’t have any classes to teach, but you should make an effort to get involved in the goings-on of your school. Here’s the best way to do that: your school, like any other school, will have a bunch of events scattered throughout the year that you will be asked to participate in. That may be a sports day, a Christmas show, judging a language competition, or playing on the staff basketball team, to name a few. The best thing you can do is ask your contact teacher or your coworkers about upcoming events, and if they invite you to participate, enthusiastically say yes! Unless you have made other plans without any knowledge of said event, you really have no excuse not to join. Now, if you’re feeling event-fatigue and just really don’t want to do them all, just go to the most important ones (Sports Day, Christmas, and English competitions). I’m pretty sure your school will still like you if you’re “sick” on the day of the singing competition. For prospective public school teachers, I hope you will have as good of a time as I did. What’s the point of coming to China if not to create lasting memories and an experience you will never forget? Remember to check out my blog, Country and a Half , for China advice and more. Happy teaching! Ivan is a writer/translator who spent three years teaching English in the bustling metropolis of Shenzhen, China. When he isn’t writing blog posts to help newcomers in China, he can be found behind a plate of exotic cuisine or hard at work saving money for his next holiday. Check out his blog Country and a Half (www.countryandahalf.com), or follow him on Twitter, Facebook, or Instagram for more exciting information out of China. This article is part of a series on experiencing, and dealing with, culture shock in China. The articles are based on my own experiences moving to and living in China, looking back at how I overcame each phase of culture shock, making it through to the other side and having stayed in China for over seven years. The first time I visited China was my trip to Shanghai in 2010 right before the Chinese Spring Festival, the Chinese festival similar to our Christmas and New Year’s Eve put together into one. Everywhere I went I saw red lanterns, happy people, and tall skyscrapers. I fell in love instantly. A friend of mine, a local Chinese girl, was working in Shanghai at the time, and she agreed to show me around. Coming to China for the first time as a tourist can be a bit overwhelming. 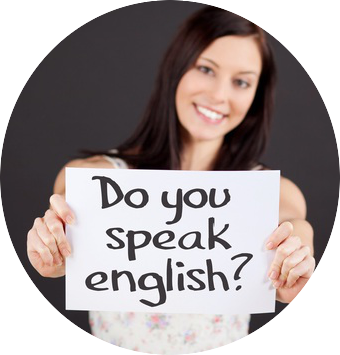 Many do not speak English very well so having someone around who could help was valuable. Having someone around to talk to the taxi drivers, show you around and take care of you was great. I got to experience everything while worrying about nothing. My visit to Shanghai was smooth, energetic and full of excitement. A great experience, everything was cool! I finally moved to China in the summer of 2010, starting out with a month-long TEFL training program in Beijing and then moving to Changsha in Hunan province for my 5-month teaching practice. The time in Beijing was like a study-holiday. We would study during the week, but we would go on trips on the weekends. Arriving in Changsha, we lived at a privately owned boarding school for primary grade students. We worked in the English teachers’ office, and all the teachers communicated well. They took care of most things for us, and we were even assigned a kind of “buddy” who would help us out with anything we needed. New people, new tastes, and smells, the language, the culture. I felt like I was living an adventure, nothing could compare. I was not making much money or anything special, but the experience was fantastic, and I loved every second. Chicken feet, you gotta have’em! Moving to China was, however, not my first time to live in a foreign country for an extended period of time. I spent one high-school semester studying at the TAFE institute in Wagga Wagga (Yes, that’s the name of the city) in Australia. Wagga Wagga is the biggest inland city, about 400 kilometers east of Sydney. I knew that eventually, I would face a wave of discomfort and slight depression because I’d gone through it once already when I was there. Having traveled a lot with my parents and sister as a child, I am very familiar with this feeling, and I can sense when it is starting to change. For me, personally, this is a great tool because I can then prepare for the coming phase of uncertainty where the excitement is replaced with worry, confusion and, sometimes, anger. Having had this particular experience before, also made me able just to enjoy how I was feeling, and mentally prepare myself. I wouldn’t be surprised by the onset of the depression stage, I was anticipating it. In Australia, everyone speaks English, so even when I was feeling down, it was easy to talk to people around me. In China, I was surrounded by English Speaking teachers who all communicated quite well, but where Australia shares a lot of culture with other Western countries, China is vastly different, and sometimes the culture and how people behave can be tricky to adjust to. While you are enjoying yourself, wandering around, getting lost and tasting the delicious food, remember to get to know the people around you. It is easy to get lost in your own agenda when all you want to do is explore your new surroundings. But your friends and colleagues will be an essential lifeline for when you start feeling down. Take them with you, explore together, share memories and your adventures. Don’t forget to talk to your friends and family back home, the more they know about what you are doing and experiencing, the more they will be of help when you need them later. One of the biggest factors of having a good class is how you, as the teacher, can effectively manage the classroom. Also called classroom management. Classroom management is where new teachers struggle to adapt because a lot of teacher training today is focused on how to teach vocabulary, grammar, and writing but doesn’t dive deep enough into the art of actually having the students under control. It is not only about how your students behave, or whether or not they sit quietly and listen, but also about how you move from topic to topic, how you explain the steps of your activity and how you deal with students who lose focus or are having difficulties. Classroom management, for me, is perhaps the single biggest factor that determines whether or not a class went well. I can have a great time teaching students who are struggling with the content but somehow seem to understand what I want to do and how to do the activities. Similarly, I can have a terrible time teaching students who are at a high level, but I am unable to manage efficiently, and they start doing their own thing. Also, if the students do not understand my instructions, fail to understand the activity I am explaining and have no idea why I just raised my voice, the class can feel rather exhausting. After struggling with classroom management myself for months, I finally found my best weapon was not my words or my voice, but my body. I always had a talent for imitating characters like Mr Bean, and I always loved to act. I realised that my movements and gestures were often more efficient in conveying meaning than my words, just because my students did not know my words, but my actions were. I started to teach students to look at my actions as well as my words, made it an integral part of my classroom routines and suddenly explaining new vocabulary, a new game or activity became a lot easier, and my classes started flowing much better. Gestures accompany your language, but cannot entirely replace it. Some gestures are powerful enough that they can replace upwards of a dozen words of explanation. The same way a picture says 1000 words, gestures can save time explaining, and keeping your gestures and language linked closely together will increase your students understanding, and you can use that gesture later. Gestures can communicate pretty much anything, whether you need to facilitate discussions, encourage more interaction, do error correction, teach vocabulary or convey an emotion. You are likely already using some simple gestures in your classroom already, “stop,” “stand up,” “be quiet,” “sit down” and “listen” as well as students raising their hand when they have a question are all commonplace in classrooms across the world. A thumbs up or an applause for praise and encouragement, an open palm to invite a student to talk or making an X with your arms to signal a wrong answer are also fairly common, but you can take non-verbal classroom language much further. Can you think of any other useful classroom language words or phrases for which you could use gestures? By using my body more than my voice has allowed me to make my classes more enjoyable for my students and myself. I spend less time raising my voice, even when my students are misbehaving because they can look at my gestures and body language to know what I am thinking. On top of that, I tend to make my gestures exaggerated and comical because laughing is always a good way to keep students interested in you. Anyone who spends ten minutes reading online reviews of schools in China knows this: teaching English in China is a horrible, miserable experience you wouldn’t wish on anyone. But why is it when people come here and actually speak to expats who have been teaching for a while, they hear a different story? Their friends say: it’s fun, they love their school, and they plan on staying two or three more years. So what is it about the people who write these horrid reviews of ESL schools that skews the sample? Generally speaking, those who gather on ESL threads to bash their school are negative people who’ve developed a herd mentality. They say “misery loves company,” and what better way to increase your feeling of self-worth than to join into a frenzied mob of disgruntled teachers with an ax to grind? Their posts often start like this: “I worked at Blah Blah Blah English School for three years and boy they were a bunch of….”. Riiiiight. So, this place was so incredibly terrible you stayed for how many years? Many people forget an important fact: You’ll have problems at your job in China….just like you did at your job at home! There’s no such thing as a “perfect job,” and being able to cope with difficulties in your workplace is a part of life. Learning how to deal with these problems means you’re not lying when you write, “Works effectively in cross-cultural settings.” on your CV. There’s also a subset of people in China who “can’t hack it” in their home country, and are forced to stay in a foreign country for much longer than they’d like. They’ll tell you how much they hate the food, the people, their school, etc. If you talk to this person long enough, you’ll probably also discover they think their home country is rubbish, too. These people have no business teaching, especially teaching children! Okay, okay – I’ll get off my soapbox now! Do you want to know the truth about teaching ESL in China? I know it can be pretty shocking to hear, but that’s the nasty truth! The people who teach overseas (and stay because they love it) generally don’t spend their hours trolling ESL message boards. Ya’ know, because they’re outside…enjoying their life. Maybe eating dumplings, or climbing a mountain, or writing in their journal. Have you spent a year or more teaching overseas? We’d love to hear your thoughts and stories! If you have incredible travel photos, please send them our way! Also, if you’d like to learn more about how to become a guest blogger, write us at info@eslsuite.com with the phrase “Guest Blogger” in the SUBJECT LINE. Christopher came to Tianjin via Buffalo, New York, and Los Angeles. He’s lived in China since 2009, and has traveled to over 20 countries on six continents. 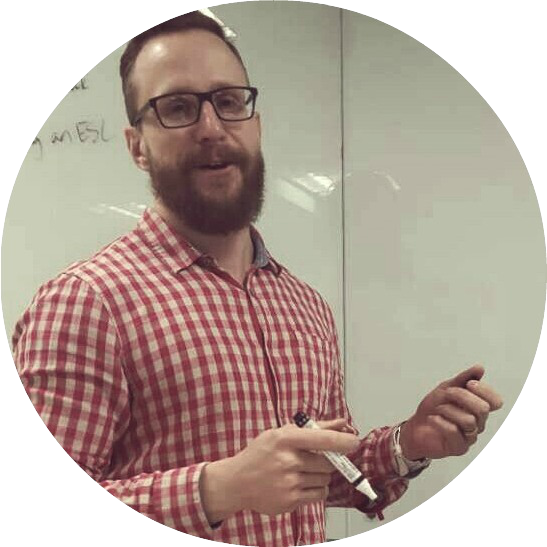 Christopher has been in teaching and recruiting for over five years – he’s the co-founder of ESL Suite, a husband, and father to two strapping little boys. If he’s not at work, you’ll find him in the gym, or narrowly dodging oncoming traffic on his fixed-gear bicycle. Great news for job seekers in China: There are still plenty of jobs at public schools and universities in Tianjin. Interested parties may apply to the link, or with the email address listed at the bottom of the post. You may apply yourself or refer a friend. I hope to hear from you soon! We’re seeking teachers for public school and universities across Tianjin Municipality. Public schools and university positions have the benefit of a regular work schedule, and the schools offer fully comprehensive curriculum with lesson plans and teaching materials provided, plus induction training upon arrival. Tianjin is best known as the main port of entry for China’s northeastern manufacturing corridor. It’s the largest coastal city in the north and is just a stone’s throw from the capital – going to Beijing is a 30-minute ride by high-speed rail. Tianjin has a rich history and has many examples of old British and Italian architecture. The famous Italian Concession Area has the largest cluster of Old Italian architecture outside of Italy. Other local attractions are the Huanyaguang section of the Great Wall, the Tianjin Eye and Tianjin’s Ancient Culture Street. Outside the city centre is Binhai, which includes Tanggu and TEDA (Tianjin Economic Development Zone). These areas are home to much of Tianjin’s commercial activity and is one of the engines driving the city’s rapid economic growth. Option 1: Apply through the link. Option 2: Apply through email (jobs@eslsuite.com) and write “Tianjin Public School – WP” in the Subject Line of the email. Thank you again for your interest in this position, and for choosing ESL Suite to assist you with your job search in China!